Lead & Nickel Free! 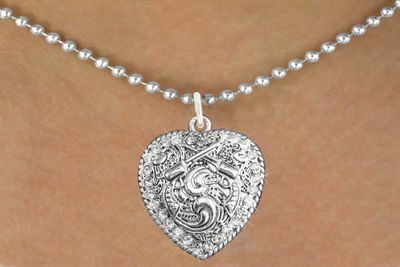 Necklace Suspends A Beautifully Detailed Silver Tone Crossed Pistols Heart Charm Covered In Genuine Austrian Crystals! 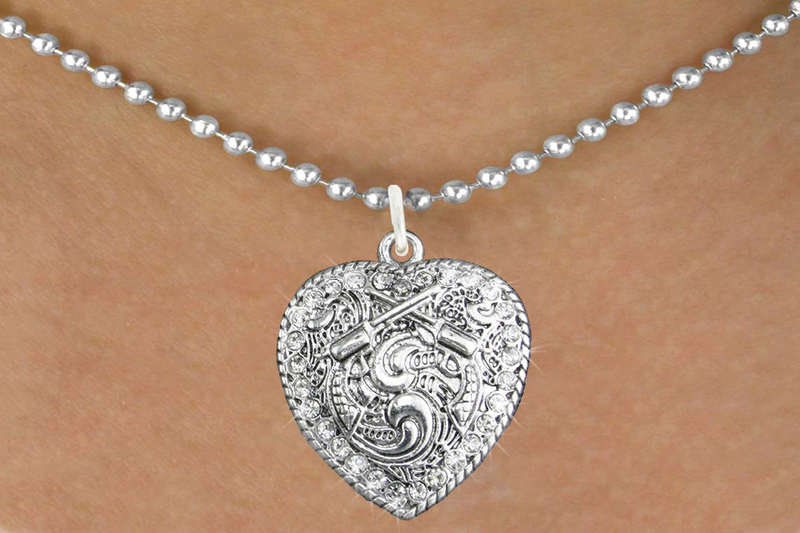 It Comes On A Necklace Style Of Your Choice: Ball Chain, Regular Chain, Toggle Chain, Black Suede Leatherette, Pink Suede Leatherette, Or Brown Suede Leatherette.